and have some more wonderful inspiration from the Design Team. The winners of our Father's Day/Anything Male challenge are at the end of this post. and please remember only 2 entries per person. 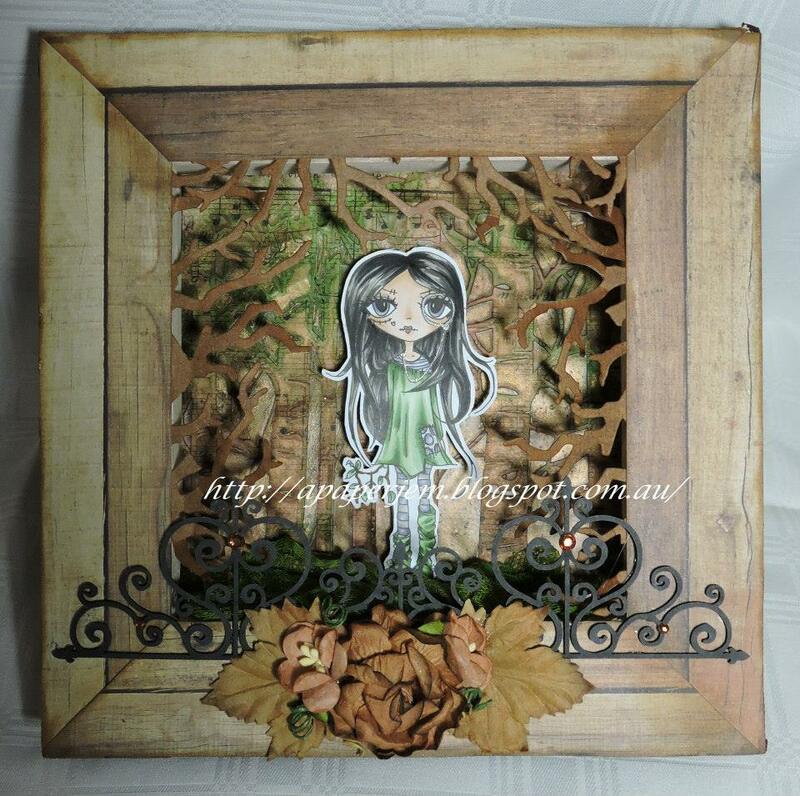 Asha - It seems like I'm hooked on the Serenity Fairy collection. Everything you see on this card is from this CD. 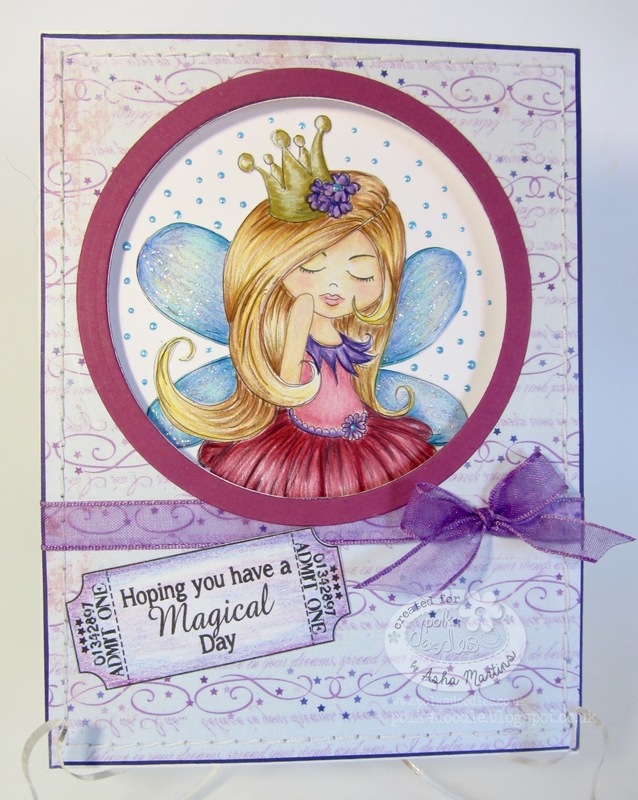 The digi image is called Serenity Princess and is available separately to download. I coloured her with Faber Castell Polychromos and a few embellies from my stash. Hop over to my blog and you'll see her in full. Scatty Jan - For the Frame It challenge I decided to use 4 of the Oddellas, I love these there so much fun to colour up. I have used Oddella Bow, Oddella Bag, Oddella Twig and Oddella Heart. All coloured with Graph'It Markers. The photo film strip was cut out on my portrait. 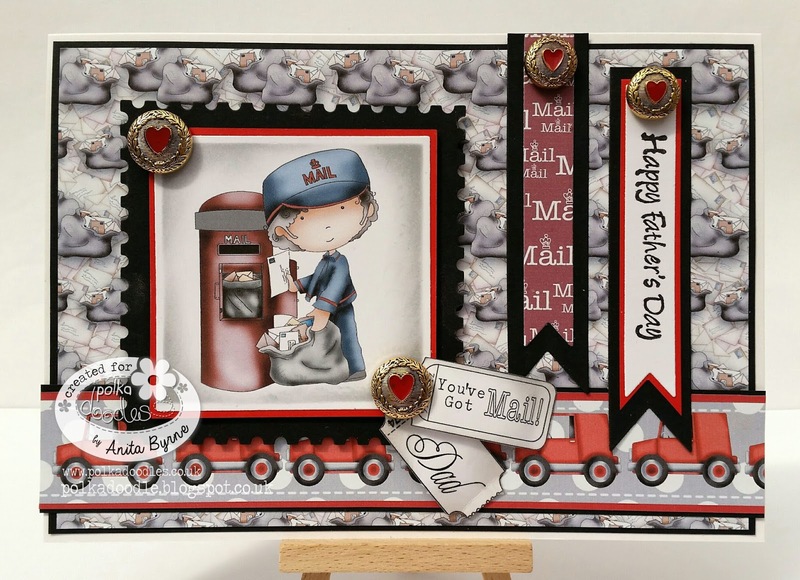 Penny - With a photo booth layout using the fabulous Twiggy and Toots pre-coloured images. I imported the images into my Silhouette Cameo and cropped them down to create a photobooth layout. The images being precoloured made this such a simple project. I used glossy cardstock to make the images pop. 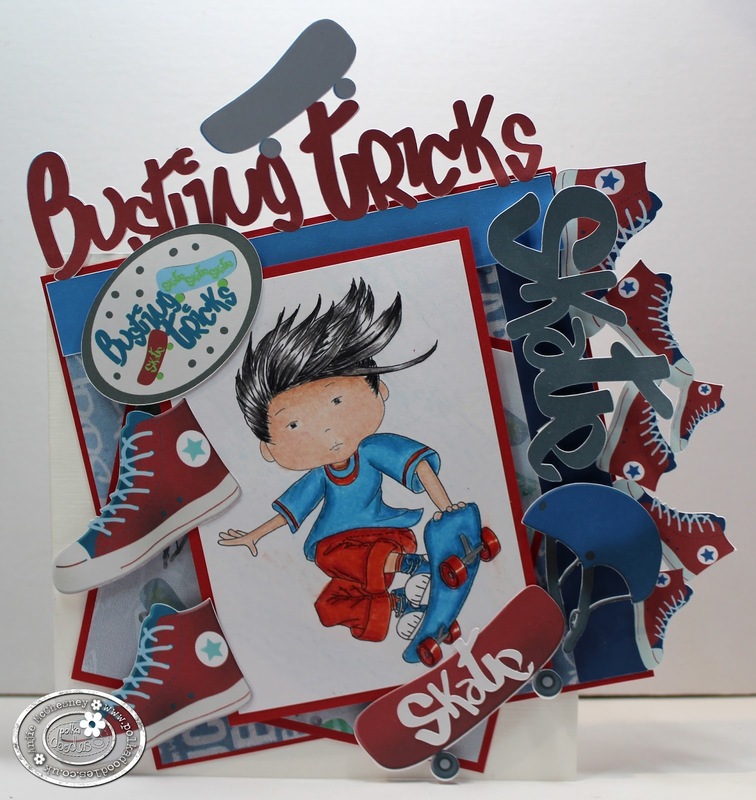 The background paper is also from the kit and it was really easy to colour match some elements to make it all come together. 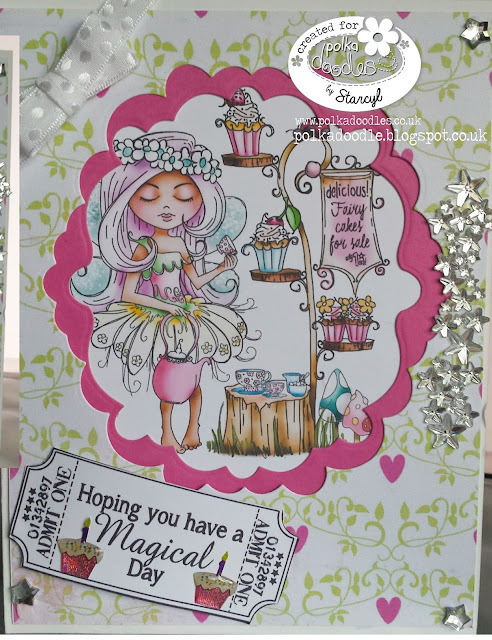 Lou - I have used the scrummy Rose Budd collection to create my card. I only needed to print one elements sheet and one page full of flowers. My frame is very subtle as wanted the floral elements to stand out. Cheremane - I have used the stunning Octavia Moonfly collection to create my inspiration for you. 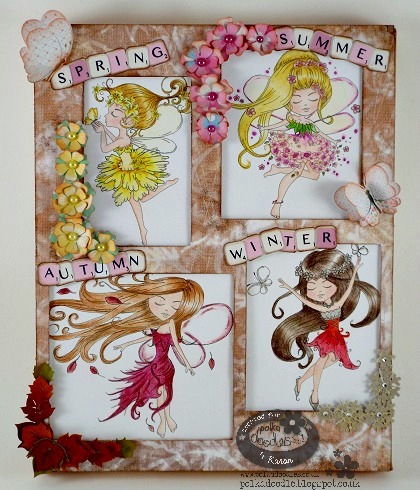 Its the perfect collection if you adore fairy's but to be honest who dosen't love a Fairy. I have used Octavia Mooning Washing Day Digi as my main image which you can find Here. 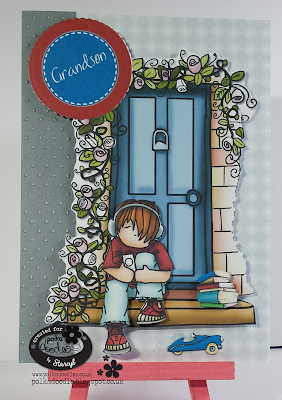 The papers, ribbon, flowers and sentiment are all from the Octavia collection, look at all that texture in those papers and that's exactly how they print, how fabulous is that. 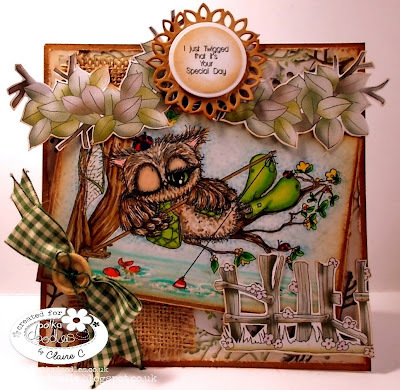 Jenny - I've used the Serenity collection this time, but I've used a pre-coloured image as I was a bit pushed for time. 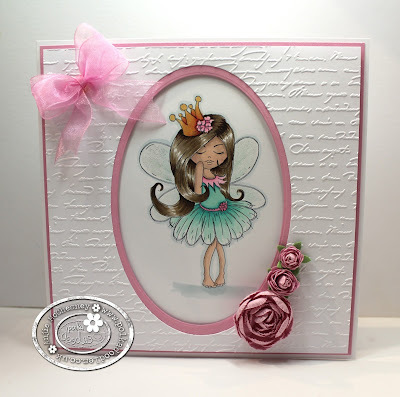 You can also buy her on her own if you fancy a single digi she's called Serenity Fairy Cake. You have won a £10 download voucher for the store. Please contact us HERE and quote PD26001Wk23 to claim you prize. Well done everyone, and don't forget to take your blinkies from the side bar. Have you have all been visiting the Polkadoodles store lately? 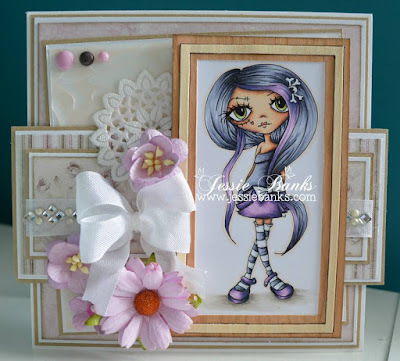 Nikky is constantly adding new loveliness for everyone, the latest release really is not to be Missed!! 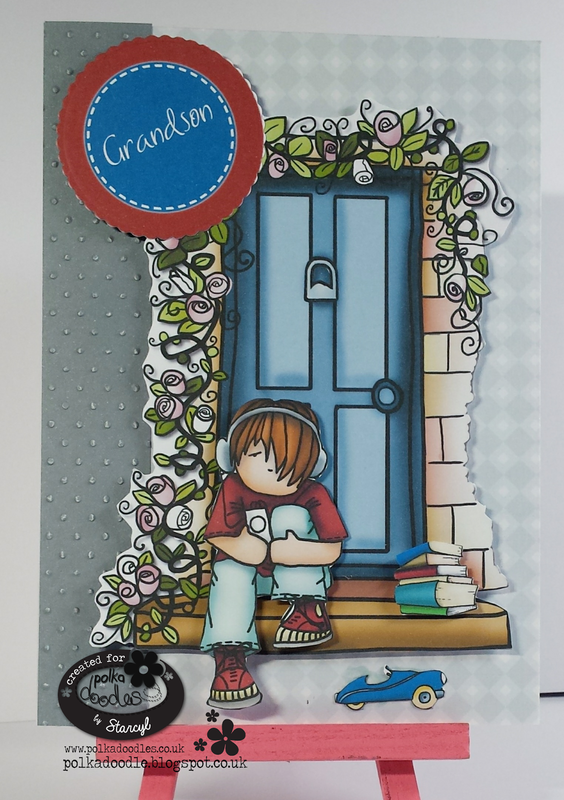 This could be a die cut frame, a metal frame, an embellishment frame - so long as it's a frame it fits! Our random winner for this challenge will win $10 of downloads from the store! We are very excited to also introduce some new faces to the team this week - we are honoured to have some Guest Designers joining us! We are so chuffed and blessed to have these 3 talented crafters joining us for the next few weeks so make sure you pop over to their blogs and follow them for lots of inspiration! 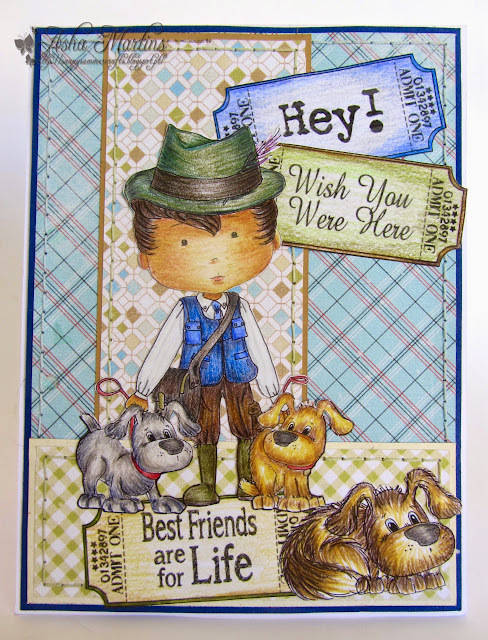 Naz- I have used two separate digis for my card, one dog/puppy and the other one chick, both are from WORK & PLAY 10 COUNTRY LIFE Collection. I coloured the images with Copics and added some glossy accent to the dog's nose. 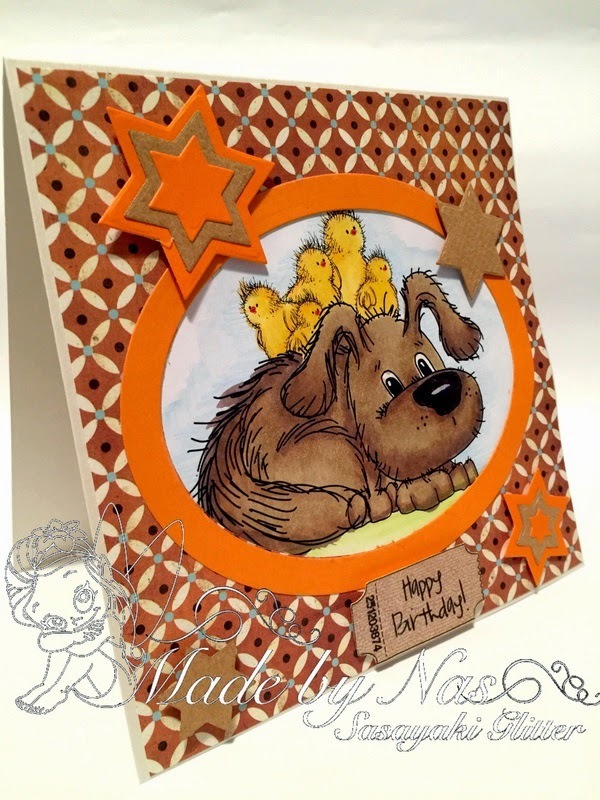 I used Nesting Ovals Kaisercraft Decorative Die to cut the patterned paper and then I placed my image under that, then I used the same die and the largest die together to create the orange border. The sentiment I have used is also from Polkadoodles. to finish off my card I added few star diecuts. 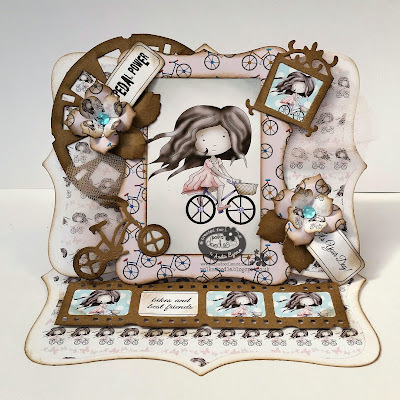 Anita - Hi there today for my make for our frame it challenge I have used Cycling girl available here on the Work and play collection 4 this collection is devine with its co- ordinating papers and of course I popped her behind a frame. 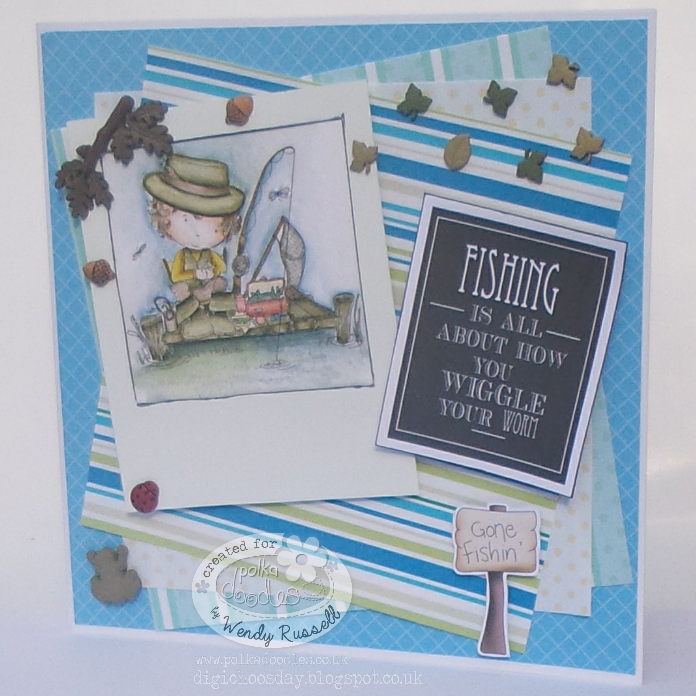 Wendy - For this weeks card, I've used the idea of a taking an instant photo and using that as the pictures frame.The image is 'Fishing' is from Work & Play 7, but is also available as a digi here. 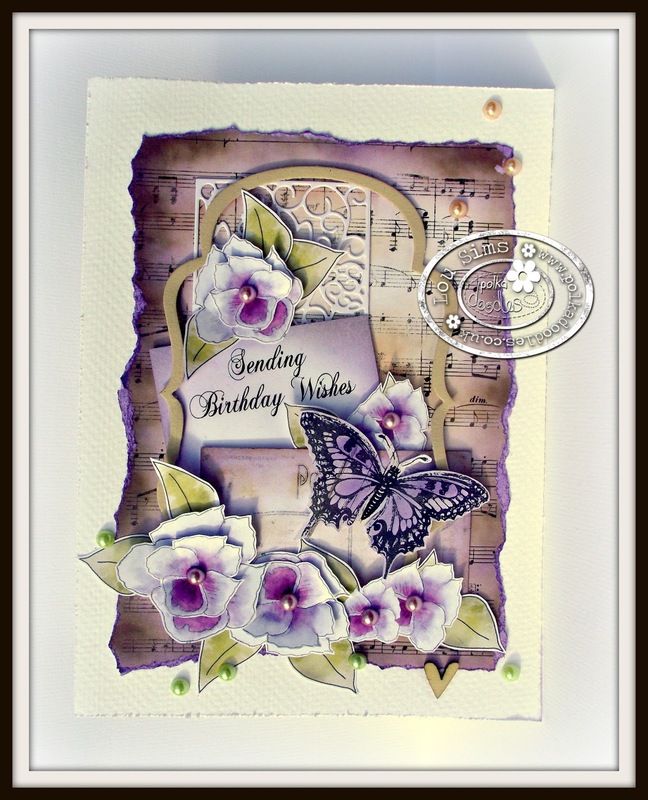 I've printed on water colour card and coloured using Distress Markers. 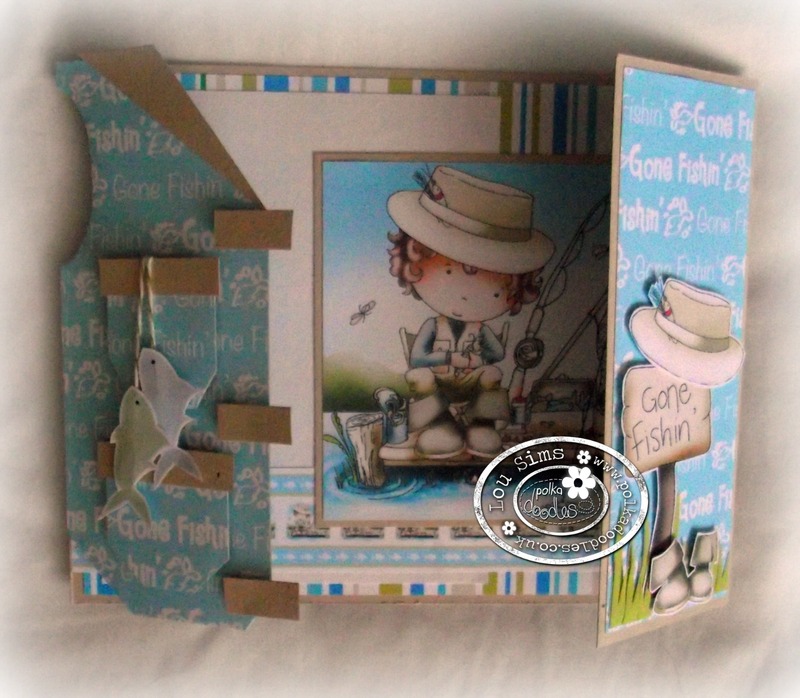 All the backing papers, sentiment and the 'Gone Fishing' sign are also all from the same collection. Anjie - I have used the Serenity Princess image and coloured her in with my Graph'It Markers. 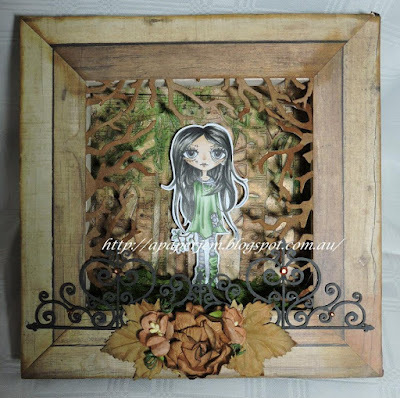 You can buy the whole Serenity collection on a CD HERE which includes 10 images and oodles of other lushness! If you can't wait for a CD to arrive you can buy it as a download package HERE, or individually HERE. More details on my blog. Claire C I've used this adorable image from the Serenity Collection, you can get the whole collection here as a download or here as a CD. 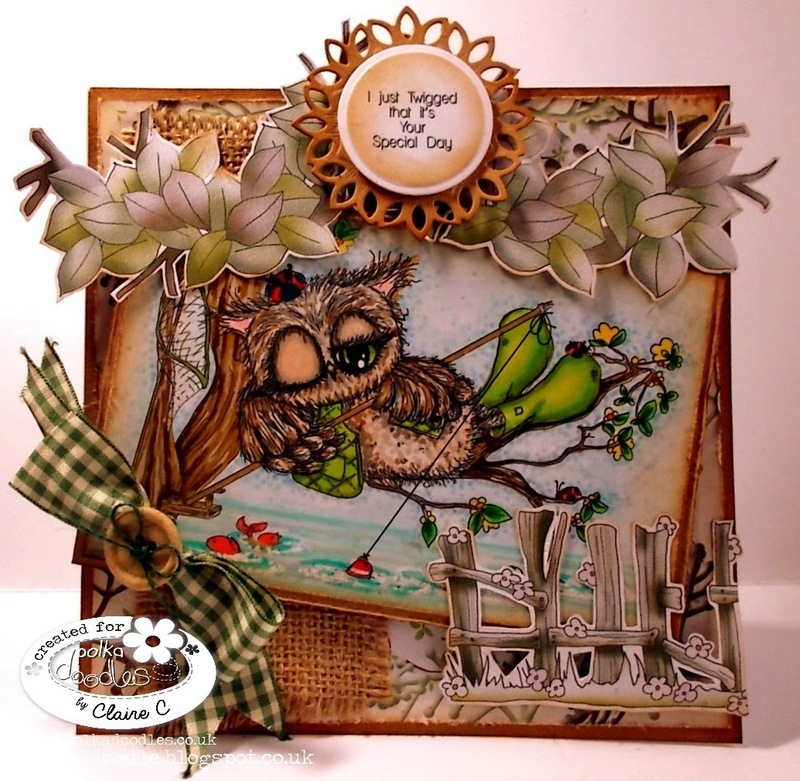 The collection is full of beautiful images, papers, embellies and other goodies but if you prefer 'Serenity Resting' is available as a digi stamp here. 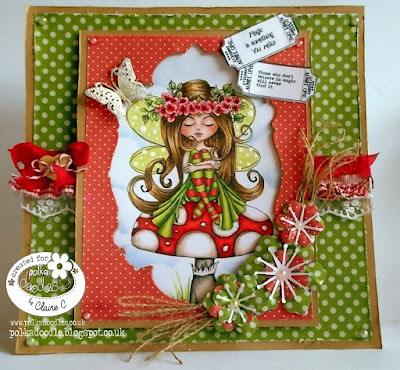 I've coloured her with my Graph'It markers and used some of the lovely papers from Work and Play 5 Festive Hollybobs too. We will announce the winner of our Fathers Day/ Anything Male challenge next Friday. How amazing are these characters!! Our random winner for this challenge will win a £10 download voucher for the store! 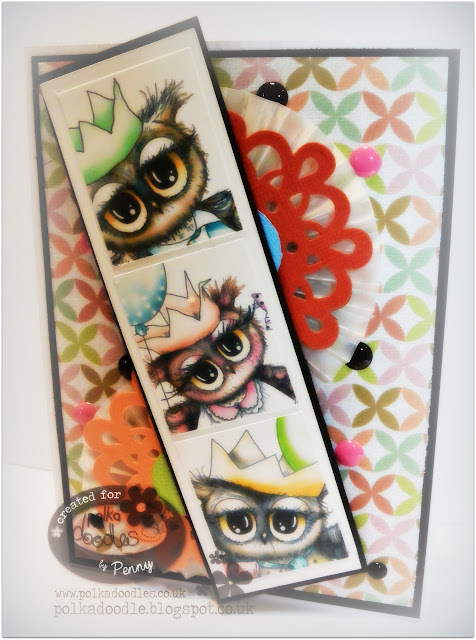 Naz - The stamp I have used for this card is from TWIGGY AND TOOTS collection. I coloured the image with Copics and cut it out. Owl's party hat, balloons and the banner as well as the happy birthday sentiment are all from Polkadoodles Cherryblossom Lane. Jenny - I have used an older collection for my card, I decided on a card for my friends grandson. 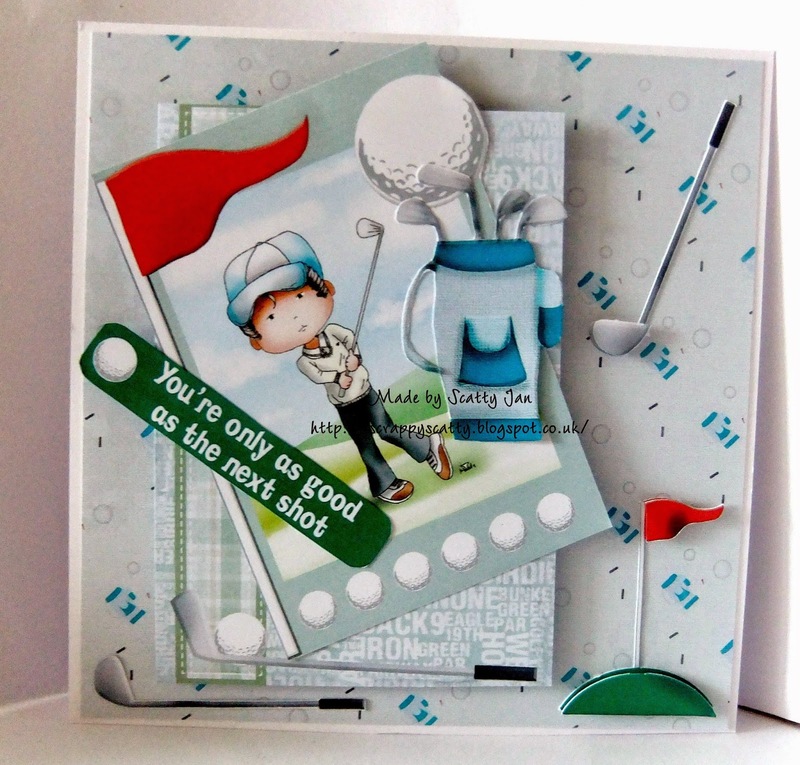 I used one of the boys from the Pretty Tuff collection. He isn't easily pleased and doesn't like too much fuss so hopefully he'll like this. Wendy - So for my Fathers Day card, I've used elements from Work and Play 3, available as a CD rom or downloadable here. 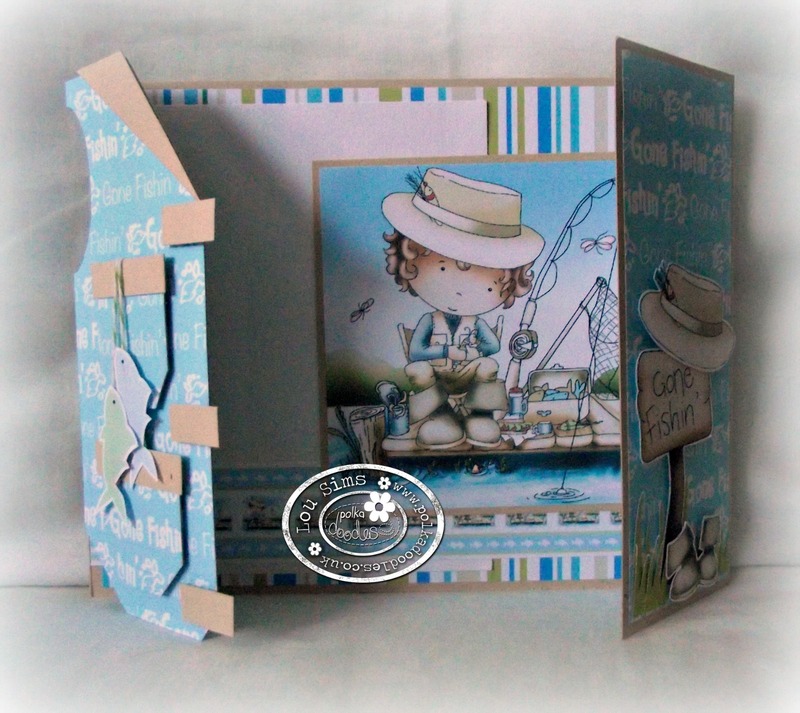 Both backing papers are from the Male Caravan section, with the check paper having been re-coloured in Craft Artist. The sentiment is also from this collection and I suspect originally susposed to match with the Doctors in the collection, but fits perfectly with my theme. The image is also available as a digi for you to colour here. Anjie - I have used the Skateborder image from the Work and Play 11 collection. The image is also available on it's own HERE. I have coloured him with my Prisma pencils. All the papers, embellies and borders are also from the same collection. Anita - Hi there everyone today for my Fathers day / male make I have used the postman and co- ordinating papers from the Work and Play 4 Collection , He is also available on his own Here, I have not coloured him this time round I used the pre coloured version it prints out a dream. Please contact us HERE and quote PD24001Wk21 to claim your prize. Where has the year gone! June already! I hope you have all been visiting the Polkadoodles store lately. 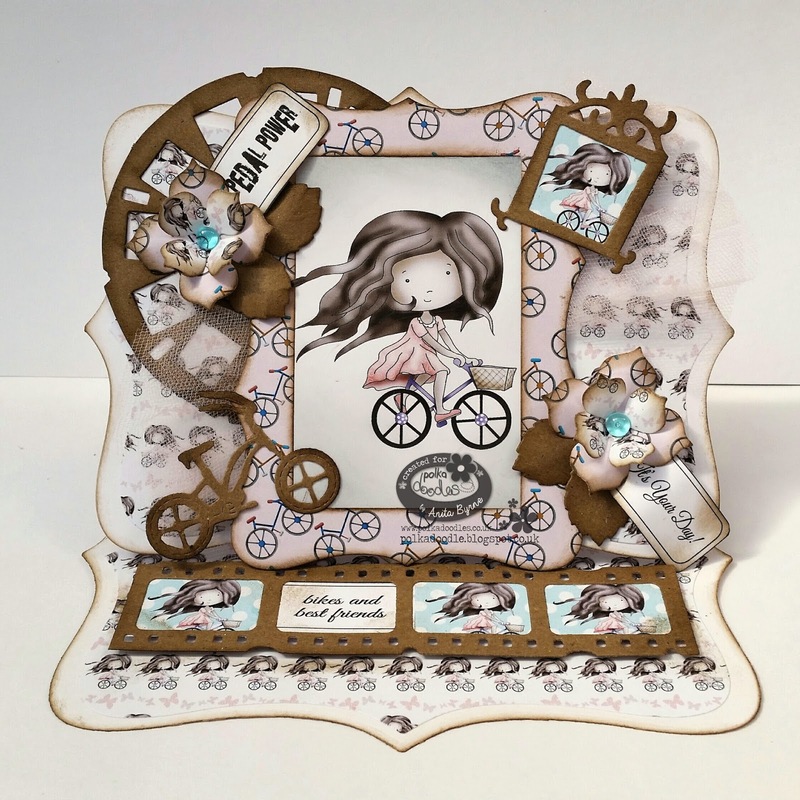 Nikky is constantly adding new loveliness for everyone. The latest release has been a real favourite with all you lovely people out there. Asha: I made my manly card with digi images, patterned papers and ticket tags from the Work and Play 10 Country Life collection. The Gamekeeper is also available as a digi download. I did all my colouring with Faber Castell Polychromos. 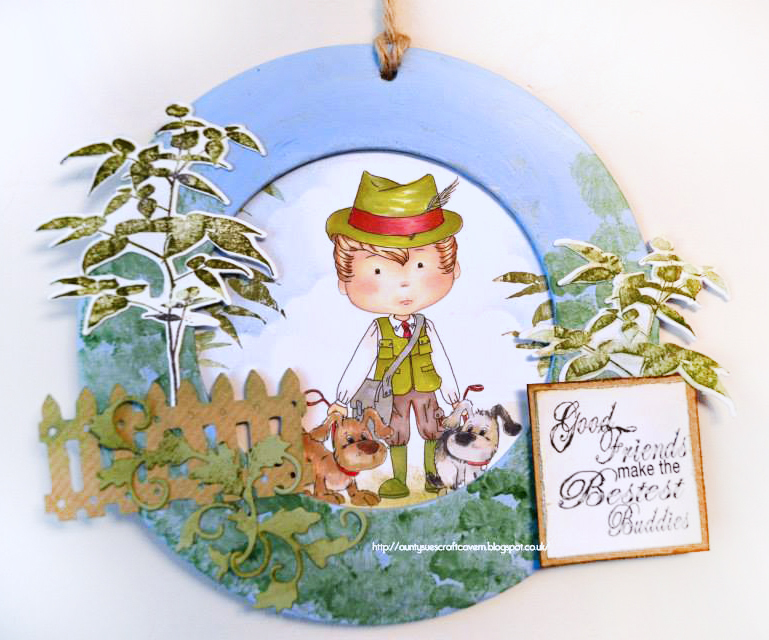 Cheremane - Today I'm sharing a creation I've made from the great Work and Play 10 Country Life collection, I have used the pre-coloured image. You can download the GameKeeper Image Digi Here its the perfect male image and I've teamed it with the fab papers & sentiment also from the Collection. 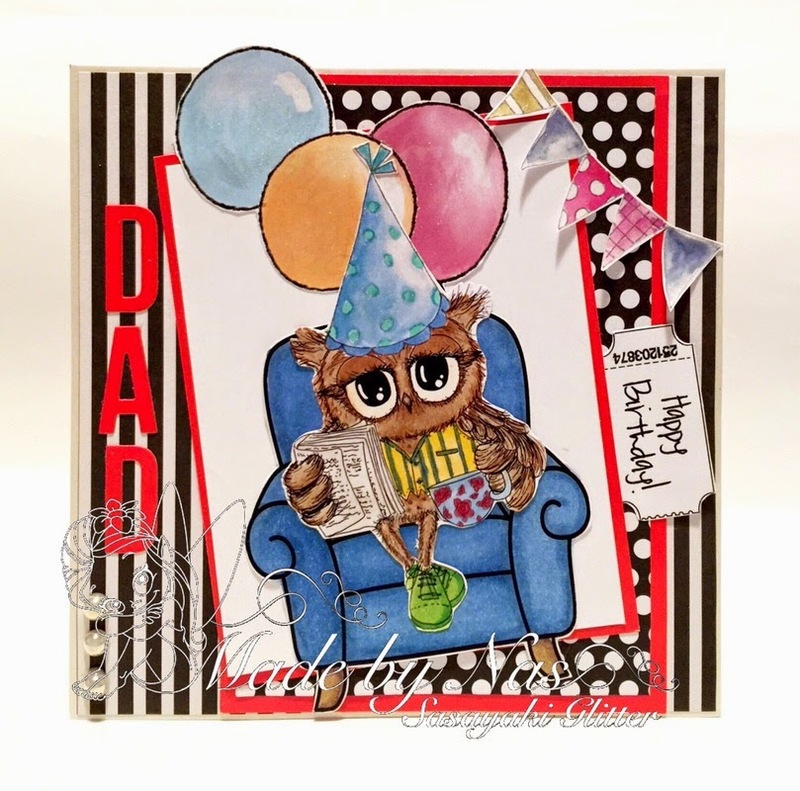 Karon - I have used the fabulous Winston collection for my card. 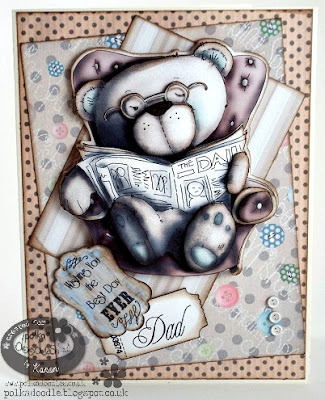 I adore this little bear and thought this was the perfect pre-coloured image to layer up. I inked up all the edges of all the layers and then added 3 little button top brads to finish off. 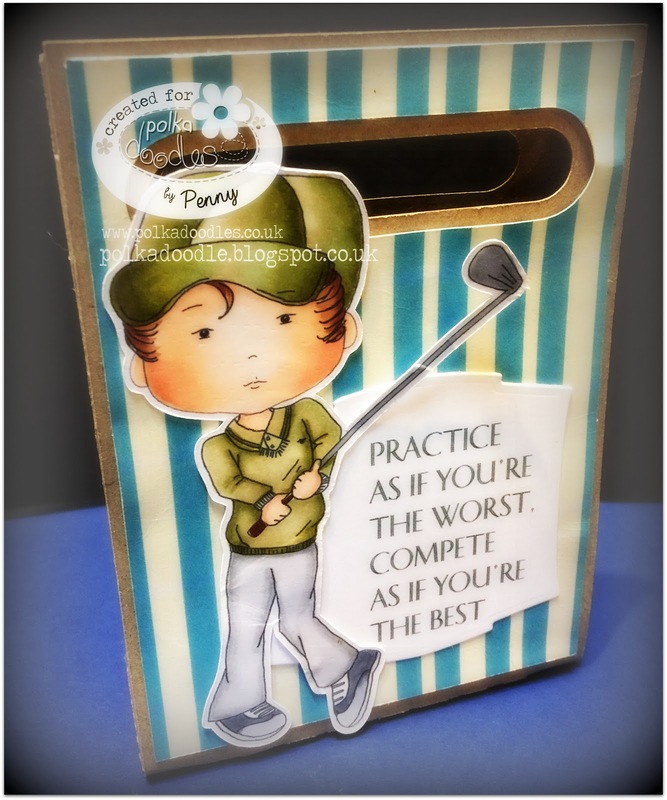 Penny - with the awesome Work and Play 11 Golfer Image. I layered up a digi paper onto a cameo cut file of a little bag that my kids will fill up with lollies for their dad. The sentiment is spot on, again from Work and Play 11. If anyone has met a golfer who won't appreciate this sentiment, let me know. I also printed and used papers from CD. We will announce the winner of our Girly but No Pink challenge next Friday.